As consumers slowly come out of their turkey-induced comas, they are probably feeling rested and ready to tackle their holiday gift lists. With the initial days of this year’s shopping season already passing by, companies should plan on fueling this festive frenzy by handing out promotional giveaways to customers. According to Forbes, although Black Friday has long been the biggest shopping day throughout the year, it appears that this tradition may have been trumped. Because more and more consumers are looking online to purchase their presents, Cyber Monday has quickly surpassed this former champion by bringing businesses greater success. That said, e-commerce companies need to maintain this early momentum going throughout the entire season and they can do exactly that with the help of promotional gifts. 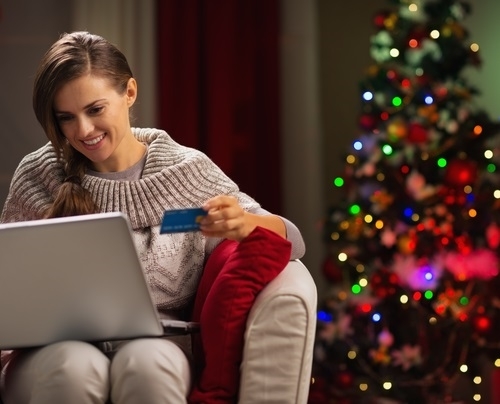 By appealing to Internet-based shoppers, organizations can encourage transactions and boost their seasonal sales. For this reason, companies may want to capitalize on online trends – namely, increased consumer mobility. Deloitte explained that about 68 percent of smartphone users stated that they will employ their mobile devices for holiday shopping purposes. If online vendors offered specific incentives to those using their smartphones to complete their transactions, then they could entice a larger portion of these consumers to click the “buy” button. They can easily accomplish this by rewarding mobile shoppers and giving them complimentary promo items.